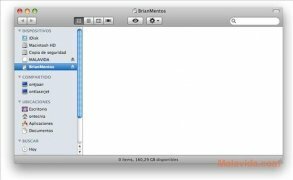 One of the most important things when you work with company and business documents, is to make sure that the files that contain confidential information are properly stored, and when you use a Mac for this purpose, one of the best options is Knox. 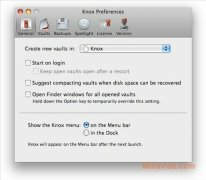 Knox, that takes its name from the renowned Fort Knox, creates a security vault in which you will be able to place all your important documents, and maintain them protected by means of a password. The creation process is very simple, you will only have to launch the program and right click on the application's icon on the dock. Once you have done that you will only have to select “New Vault”, and the program will ask you to select the name for the new vault and the password with which you want to protect it. And it will be ready to be used. 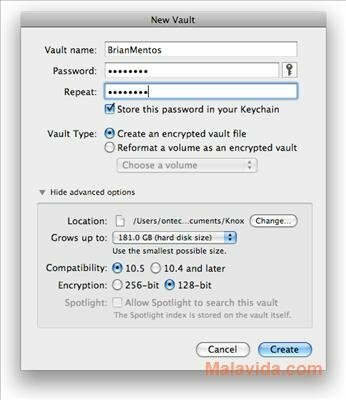 What's more, the program allows you to create backups of the vaults, whether manually or automatically, offering a wide range of options for this purpose. Therefore, if you want your important files to be safe, download Knox.